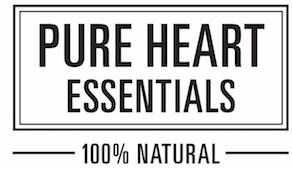 So proud, to praise this local, Ottawa company in my “Pure Heart Essentials Soap Review”! Ironically, I crossed paths with this skincare brand in Toronto, ON – while attending TheHolisticBeautyExperience.com. Not only did Pure Heart Essentials have an amazing looking booth. Their master mixer (Debbie – a Registered Reflexologist and Tao Shiatsu Practitioner) also spoke at the event. Proving this brand has a very clear mission and understanding of what is 100% pure, toxic-free, skincare! Knowing the “why” behind a brand, can really make the difference. 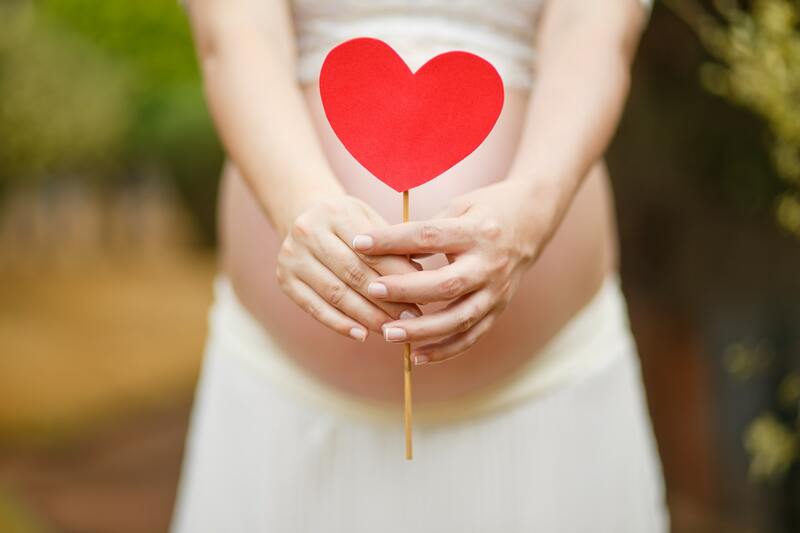 Pure Heart Essentials was born out of love – for one’s daughter. Debbie Schinzel (founder) realized all the toxins lurking in skincare was wreaking havoc on her own family, especially her young daughter’s hormonal system. She took matters into her own hands. First, the “Chocolate Honey” soap was the most fun. Smells amazing of course, plus looks tasty too. The cute, comb cut-outs and 2 layers of color – pulls you in right away! It’s gentle enough to wash your entire body. Above all though, it’s a practical soap, that smells and looks pretty. 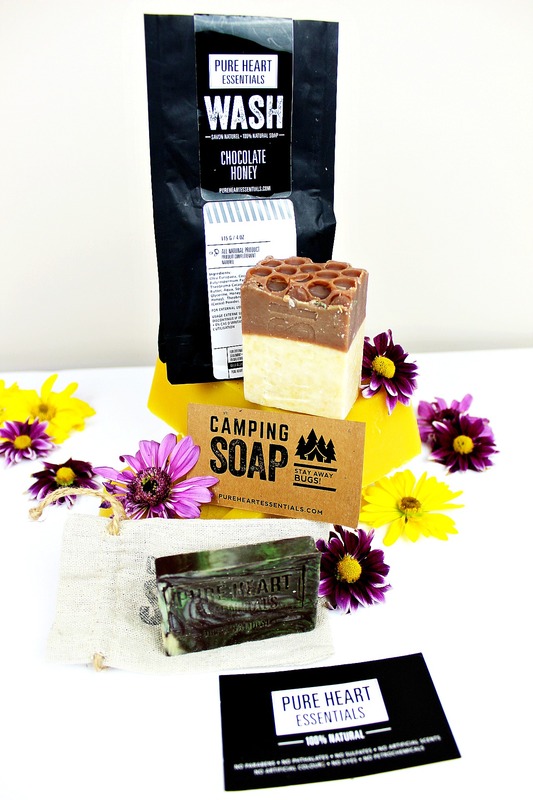 Next, the “Camping Soap” = a bar with purpose. Keeping bugs at bay. 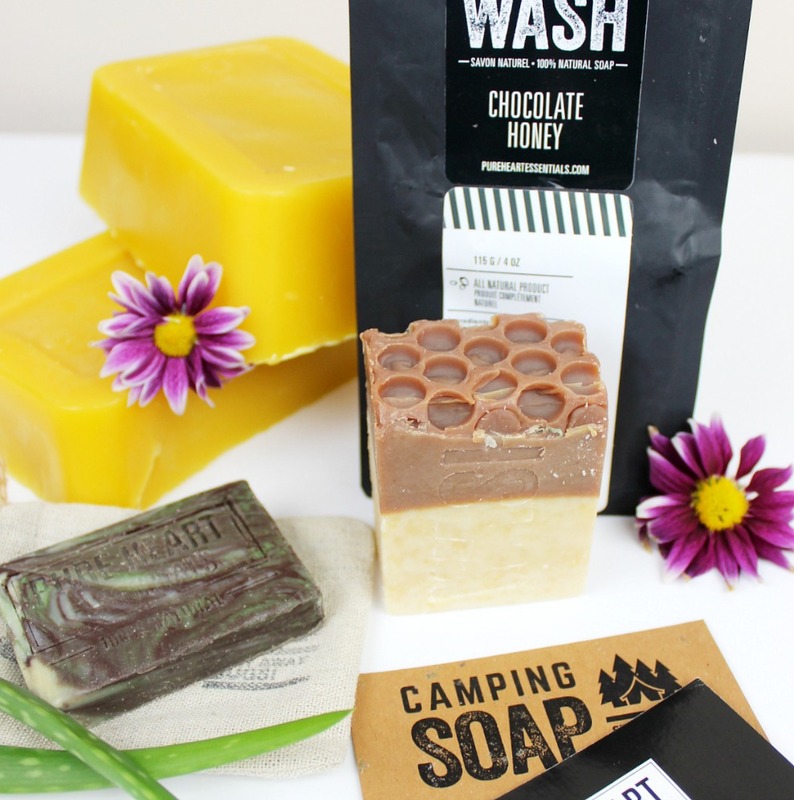 The scent of this soap is much stronger than the Chocolate Honey. Filled with citrus-based type essential oils to keep pesky bugs away. It’s a bright, lovely, rustic, 100% vegan blend. Little trick, don’t have time to shower in the wild? Worry not, just rub the bar, dry on your clothes. The essential oils will work their magic and help protect you. WHY I LOVE PURE HEART ESSENTIALS? Products with a purpose. That’s why I love PureHeartEssentials.com. Beyond just a bar of soap, they also carry aroma-therapeutic benefits, help retain moisture, and work amazing. Neither will you find any funny fillers. Expect 100% natural ingredients, blended at their best – great on all skin types. Both bars worked amazing on my skin, neither got super foamy, and smelt better in a hot shower. Thanks for reading my latest blog post “Pure Heart Essential Soap Review”. Hailing from my hometown, Ottawa, ON! I’m jumping with pride if this is your first introduction. THIS IS NOT AN AFFILIATE POST, it’s another honest, review – from a woman who loves organic products. I bought from this company and I wrote this review based on my personal experiences using it. Support local, fair, clean companies like PureHeartEssentials.com – your skin will thank you for it too!